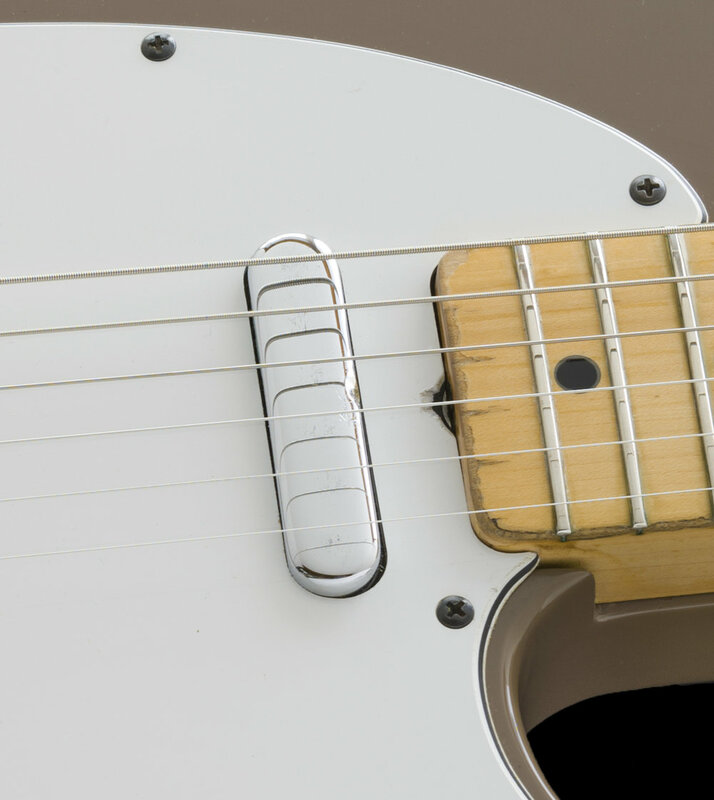 This Telecaster is 1 of the "International Series" guitars. Fender introduced the "International Series" models starting in late 1980 and early 1981, and it seems these were a fairly short-lived production ending in late 1981 or early 1982. 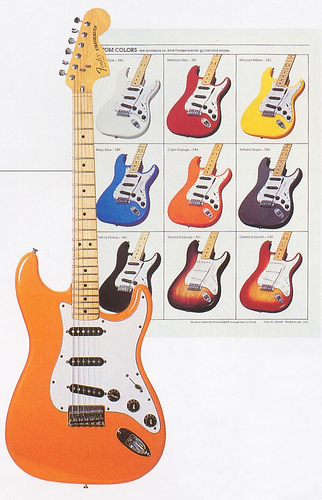 There were 7 Solid-color options as well as 2 sunbursts in the series and ALL 9 finishes were incorporated into all of the major guitar and bass models as color choices. 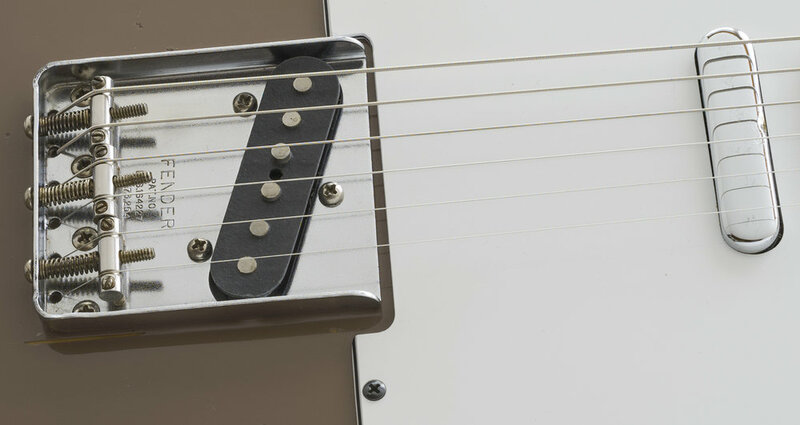 Interestingly, the International Series instruments incorporate headstock Serial numbers dating them from 1978 and 1979. It is known today that Fender had made an abundance of the late 1970's Serialized Logo transfers and they continued applying them beyond the serialized designated years, these appear on instruments made up through 1982. I have examined, tested, serviced and set-up this instrument and found it to be factory-correct. The potentiometers are dated the 40th week of 1980. The guitar appears to have been sparingly played in the past as there are signs of light usage and minor wear. There are a few small dings on the face and there is a small dent on the back of the neck located behind the 2nd fret area that I wanted to disclose. 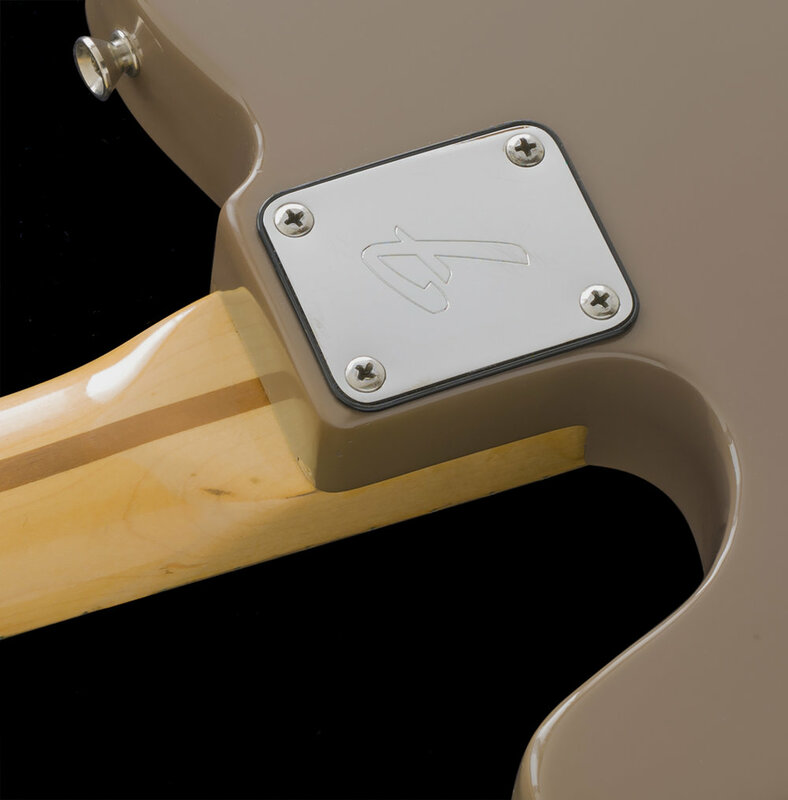 The rhythm pickup chrome cover has a small dent which is from someone's attempt to adjust the truss rod without removing the neck. The finishes, electronics, frets, nut, tuners and all of the chrome plated metal and plastic hardware are original to the guitar. 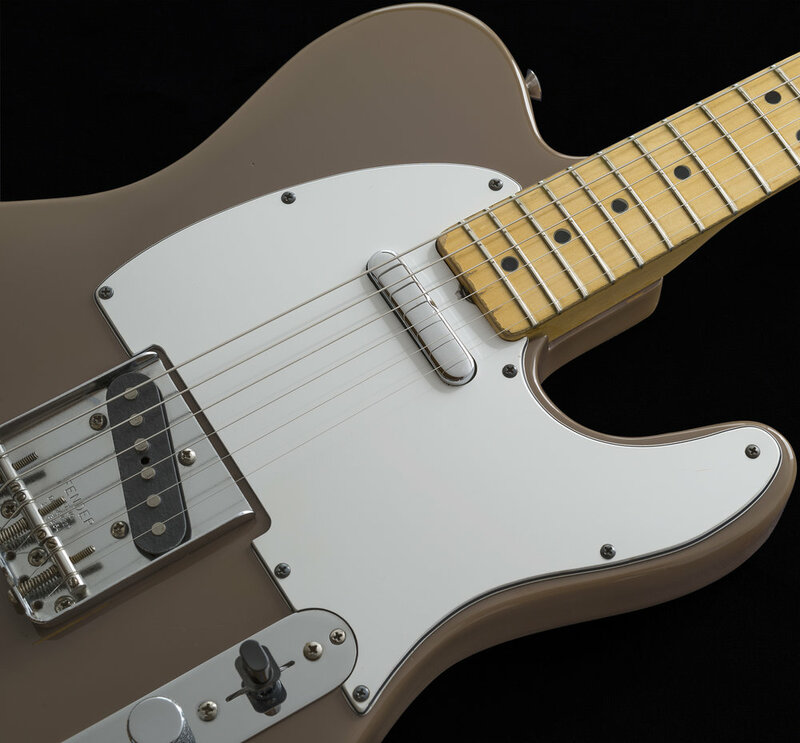 Sahara Taupe was 1 of the more rare finishes in the International Series. The guitar was sparingly played long ago and then stored for a very long time. I am rating it an 8.5 in overall condition. 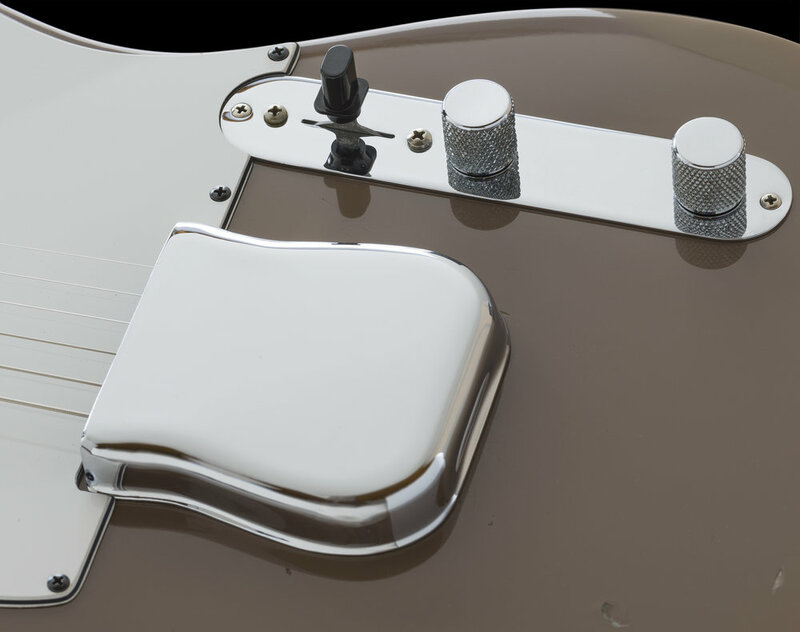 The CASE is an era-correct Fender injection molded plastic model and is Original to the guitar and is also in excellent condition with a functioning handle, latches, and hinges. This guitar came to me in this case although I can see the outline of a Stratocaster that was once placed in it. The type of foam used in these cases does not "rebound" and once an impression is made, it stays. 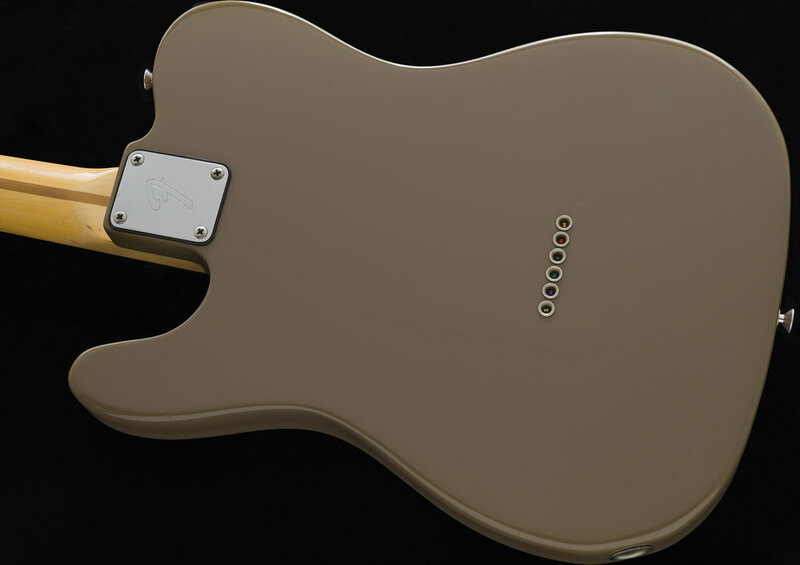 My feeling is that the music store that originally sold this Tele when new, accidentally placed it in a case that Fender sent to them with a Stratocaster in it, as it was going out the door. The music store accidental or hurried "case swapping" incident is a practice which I have witnessed MANY times in my career and one that continues in stores today. Just an FYI. I acquired this guitar more than 25 years ago while running my store. At the time this came in, I happened to have a matching Sahara Taupe Jazz Bass so I opted to hold onto this Telecaster and subsequently neither was ever offered for sale. When time permits, I am going to locate the Jazz Bass and list that as well. This guitar is now 37 years old and has been in my collection for decades and has been spared all of the "circulation" that most instruments being offered online today have undergone. This example is original and has not had any restoration or any modifications. If you have any questions or interest in this model, please inquire.